Income is something that assists us to pay for life’s essentials (and occasional luxuries). One of the best forms of income you can attain is known as ‘passive income’ – so what is it? Simply put, passive income is money you receive on a regular basis, for which you are not actively involved. This can often mean money you don’t directly work for in your principal job, but can be the result of investment dividends, rental income, a limited partnership in a business or other means. The beauty of passive income is that once you set up a productive situation to earn it, you can literally make it in your sleep. The return on investment you make, just continues to keep on giving. The best kind of passive income is when you create a situation where you are receiving a steady flow of funds from one or more sources, while not exposing yourself to too much risk. After all, no one wants to lose money – particularly as they near or enter retirement. So how to do we make passive income? Excellent question. Here’s some pointers that will get you started. 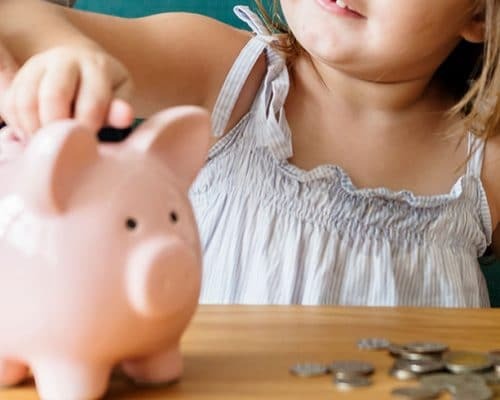 While you might already be an active saver, it’s important to realise that the more you can save right now, the more you will have to pursue an investment strategy to generate more income for later, so never stop looking at ways to reduce your expenditure and increase your investment funds. Unless they’re rented out, re-sold or used for business – luxury items such as watercraft, high-end automobiles, clothing and items for your home (i.e. swimming pools) are not commonly income producers. Whereas dividend generating shares, investment funds, bonds, term deposits, businesses and investment properties are. When considering where to place large amounts of money – consider seeking advice from a licensed financial adviser. A step that’s not for everyone, borrowing can give you access into a wider range of investment options, and is often used to invest in higher priced assets, such as property. Often an investor takes out a loan with the view to take on a positive geared situation within a few years’ time. Being positively geared means that the cost of your repayments are effectively covered by the income generated from the asset itself, and that can be a great place to be. Alternatively, if you’re not looking to borrow but would still like exposure to a piece of the property market, you can consider an investment in a mortgage trust like the Trilogy Monthly Income Trust or property trust such as the Trilogy Industrial Property Trust. These are two very different styles of investment however, don’t require ongoing active management as required with direct property ownership. Having a goal for your passive income gives you focus and motivation. Covering your day-to-day expenses is a great objective to aim for. Consider what you might need annually to live on, as well as later. There are a number of handy calculators available online. Having investments not all in the same class, sector or area is often the key to investing success, however this can take more money to achieve, so consider your circumstances and seek advice where you’re unsure. Often diversifying across property as well as shares can mean you are not as exposed as if you were investing in one asset class. Mixing your interests across residential, commercial and industrial property, (or just two of the three) can also be an option when looking to diversify. Find a side-hustle for example, Uber driving or if you’re a metro based Queenslander, collecting and charging (juicing) Lime-S scooters could be just right for you. It’s easy to read and dream, but you’ll never know what passive income goal you might be able to achieve unless you start. So, put a plan in place and take action. While you’re at it, it’s also important to consider that not all the options listed above are viable for everyone, and you do need to consider your own circumstances. Often it is considered that the younger you are, the more capacity for risk you can have, whereas as you get older you may want to preserve the savings you have already accumulated for those golden years ahead. Think carefully about what’s right for you and seek advice from a qualified professional.